A federal bump stock ban goes into effect Tuesday unless a court intervenes. The ban on attachments that allow shooters to fire semiautomatic rifles continuously with one pull of the trigger a result of a ruling issued by the justice dept in December determining that the existing prohibitions against fully automatic weapons should also cover the bump stocks. Gun owners have had 90 days to turn them in or destroy them and the deadline to have that completed is March 26, 2019. 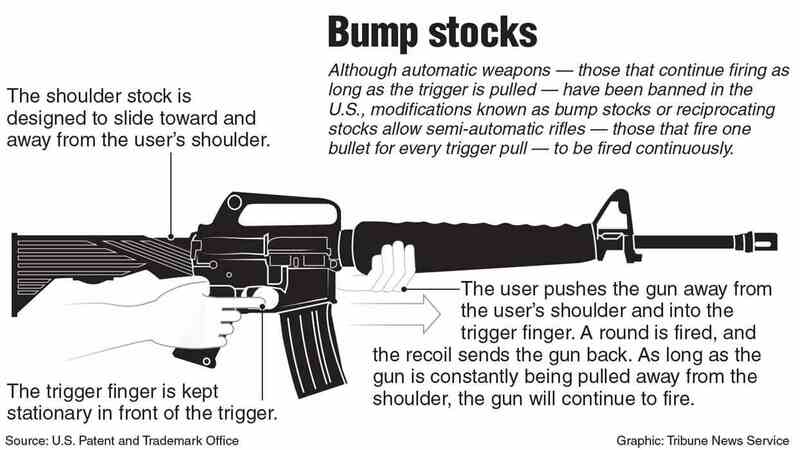 For more information on destroying a bump stock click here. For more information about turning them to an ATV Office click here.